Jack Major is a mediator and arbitrator with ADR Chambers. He is a retired judge of the Supreme Court of Canada and has helped to shape the legal landscape in Canada through his years as a lawyer, judge and counsel. He earned his LL.B. from the University of Toronto in 1957 and a B.Comm. from Loyola College (Montreal) in 1953. He has honourary LLD degrees from Concordia University (Montreal), the University of Calgary and the University of Toronto. In March 2006, he was appointed to the Alberta Securities Commission as an independent member and, in May 2006, he was appointed as commissioner to conduct an inquiry into the investigation of the bombing of Air India Flight 182. On July 11, 1991, he was appointed to the Alberta Court of Appeal. The following year, on November 13, 1992, he was appointed to the Supreme Court of Canada. During his time with the Supreme Court of Canada, he presided over approximately 1000 cases on matters ranging from assisted suicide to the death penalty to Quebec separation. He was a litigation partner at Bennett Jones and practised at the firm exclusively for 34 years. He was involved in several cases that brought about significant changes in local, provincial and federal policies and legislation. He also served as counsel to the Canadian Medical Protective Association (Alberta); counsel for the City of Calgary Police Service; counsel at the CCB and Northland Bank (Estey Commission) and was counsel for the Province of Alberta at the Code Inquiry into the collapse of Principal Group of Companies, 1987 and in constitutional cases before the Supreme Court of Canada. He continues to advise the lawyers at Bennett Jones as counsel to the firm. 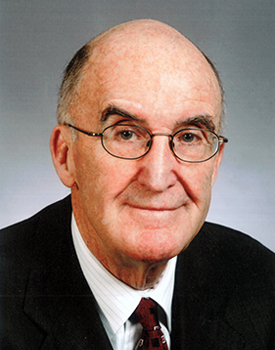 Jack is the recipient of the Canadian Bar Association’s 2015 President’s Award. This prestigious award recognizes the significant contribution of a Canadian jurist to the legal profession, to the CBA, or to the public life of Canada. He is a member of the Canadian Institute for the Administration of Justice and the Canadian Judges Conference. Jack was appointed Queen’s Counsel in 1972, and was appointed a Companion of the Order of Canada in July 2008. Jack lives in Calgary, Alberta and is willing to travel.